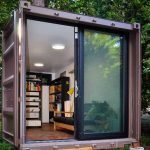 Shipping Containers VS Storage Sheds! There is a big debate on which the better option is for your backyard storage, between sheds and shipping containers.A storage shed will provide you with a lot of storage space for plants, tools or other things you cannot fit or look bad in your garage. Backyard storage sheds have been made using wood for a long time, but in recent years, manufacturers have been using vinyl as an alternative. An exciting new trend in backyard storage involves taking a used storage container and repurposing it into a storage shed. However, do the benefits of used storage containers Raleigh outweigh those of a plain storage shed for your backyard? 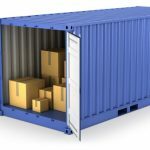 Storage containers are used for long-term transportation and storage of cargo and as such they are an excellent means of keeping your things safe regardless of weather conditions. Storage sheds are equally as beneficial as you can make it yourself or have professional make it for you. You can also customize them to fit the available space as well as your requirements not to mention, you can build them in such a way that they match your space. Storage containers are usually tested by the forces of nature including constant humidity, wind, winter snowfall, and rains. Water damage has the most damaging effect on any storage facility and since storage sheds are often made from absorptive materials such as wood, they can succumb to damage from the elements. Shipping containers will not suffer the same fate. Storage containers are completely waterproof thus protecting your things from all the effects of moisture, fire, or wind. They are made from waterproof steel so anything kept inside will remain secure. Your only risk would be if you’ve developed rust but that would take a very long time and you should notice it before it can cause any damage. Storage sheds on the other hand can simply be broken through as their materials are generally not very hard to get through. You can put together a storage shed yourself or have a professional do it for you but there is a risk of having structural errors if it is not put together properly. If this is the case, then your things will be at risk of damage in case the structure collapses. You will also have to pay excessive labor fees if you call in a professional to assemble it for you. A storage container offers you a safe place to keep your things without needing to worry about cost of assembly or labor. 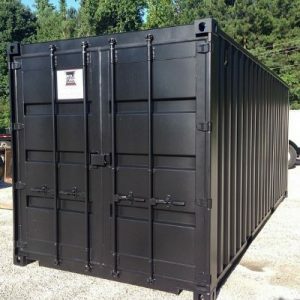 The shipping container will be delivered to your property and it is instantly ready to use. Storage containersare the safest option especially if you are storing valuable and expensive things. They are made of steel all through with either double or single doors so any thief would have a very difficult time trying to break in. shipping containers are devoid of any weak points from the hinges to the roof. 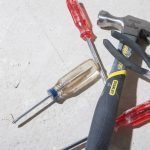 So, a storage shed may cost you a little less in the long run, but it’s more susceptible to the elements and can is quite a bit less secure than its metal counterpart. 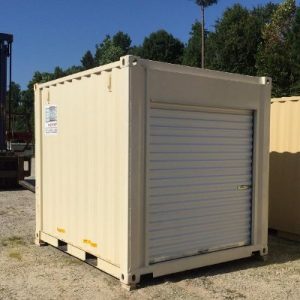 For more information on using a shipping container for any of your purposes, contact Carolina Containers at 919-562-9187.